Heat oil in a pan. 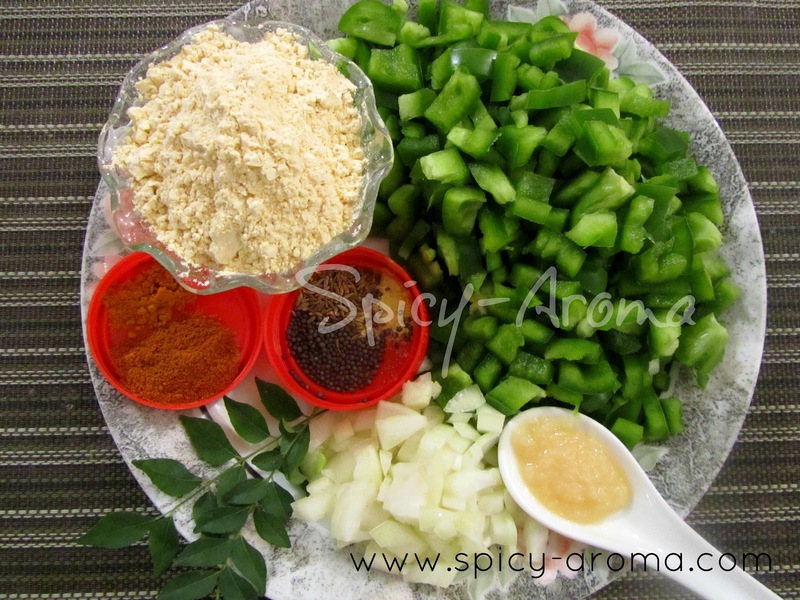 Add mustard seeds, cumin seeds, pinch of asafoetida and curry leaves. Let them splutter. 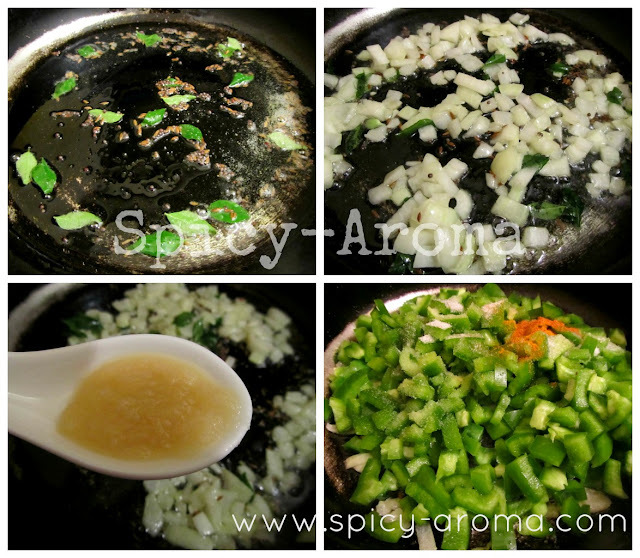 Add chopped onion and saute till it turns translucent. Add garlic paste and saute till raw smell from garlic goes away. It may take few seconds. 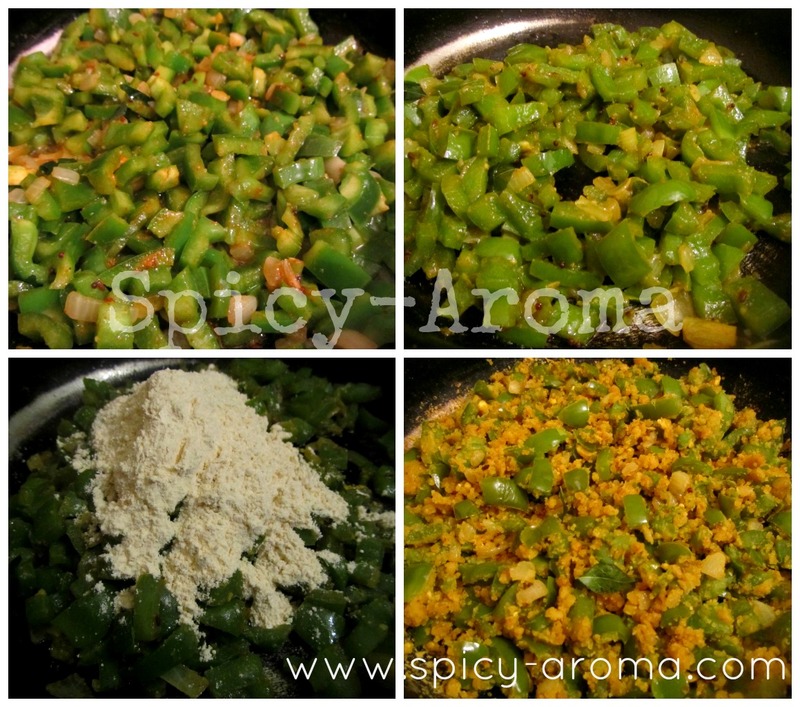 Add capsicum, red chili powder, turmeric powder and salt to taste. Add besan and mix well. Sprinkle little water and reduce the heat. Let it cook covered for about 5-6 minutes. Make sure heat is low to avoid burning at bottom. Keep stirring in between. yummiscious dish and a best combo with meals.. 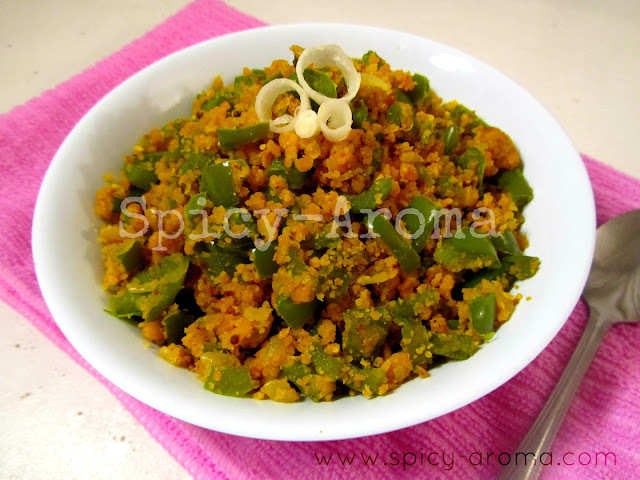 Excellent side dish,love simply with curd rice.